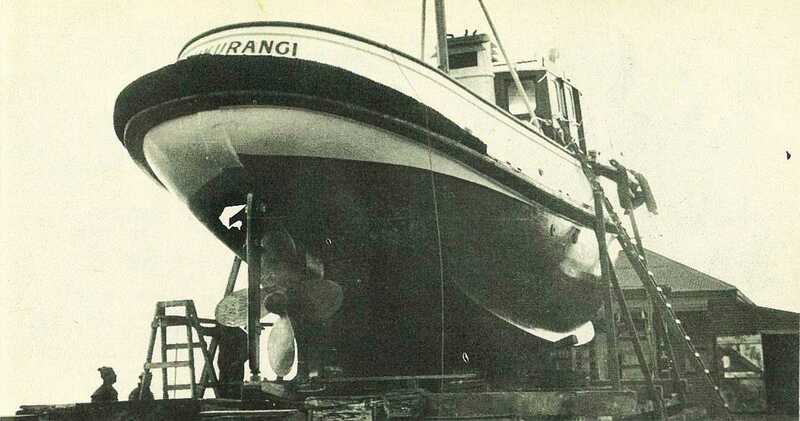 The Gisborne Harbour Board's new tug, Hikurangi, left the water for the first time recently when she spent several days on the Harbour Board's slipway having her first six-monthly rub-down and repaint. 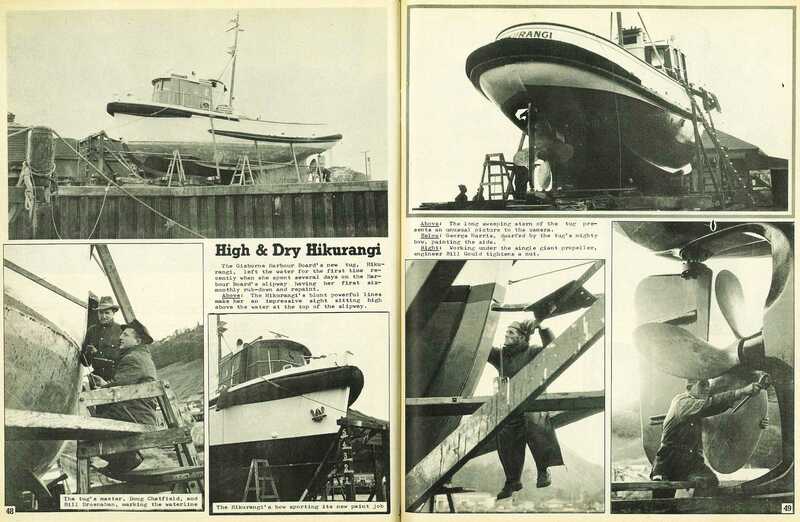 The Hikurangi's blunt powerful lines make her an impressive sight sitting high above the water at the top of the slipway. 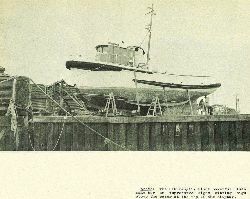 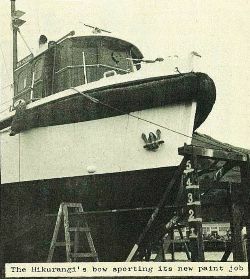 The long sweeping stern of the tug presents an unusual picture to the camera. 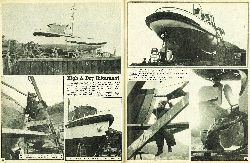 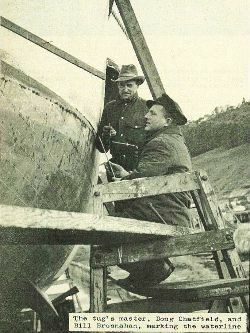 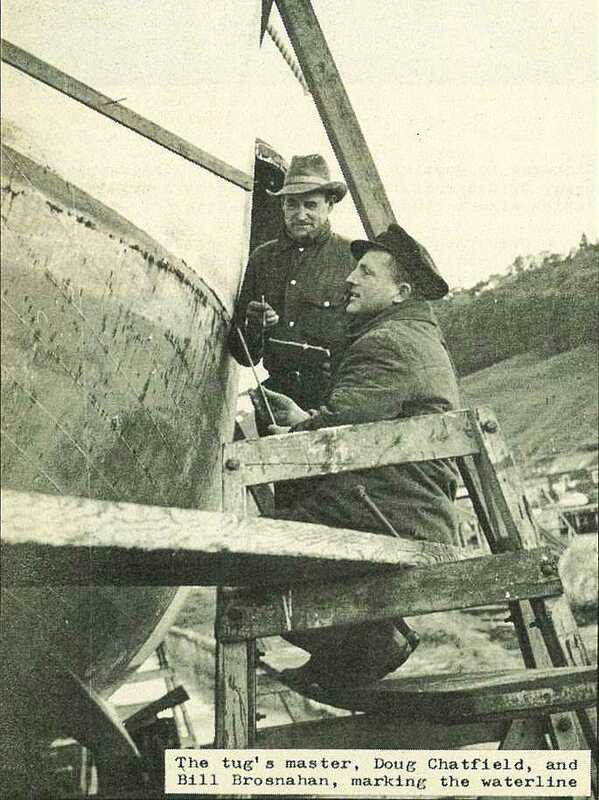 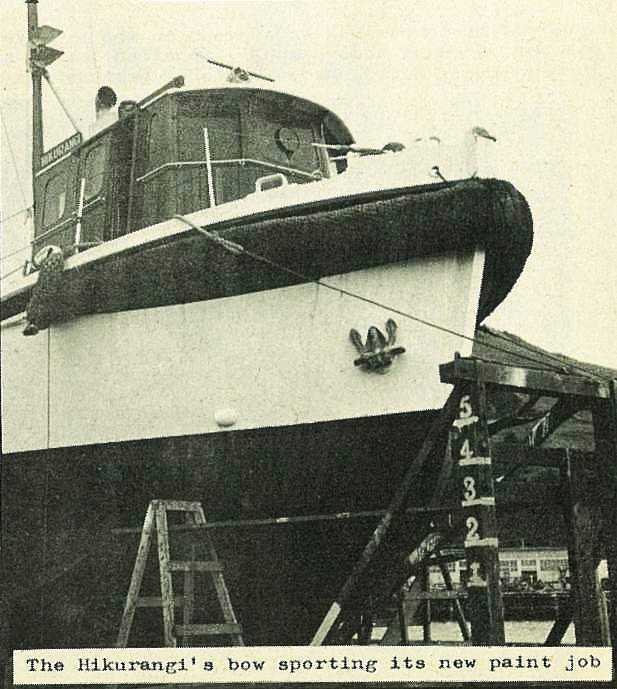 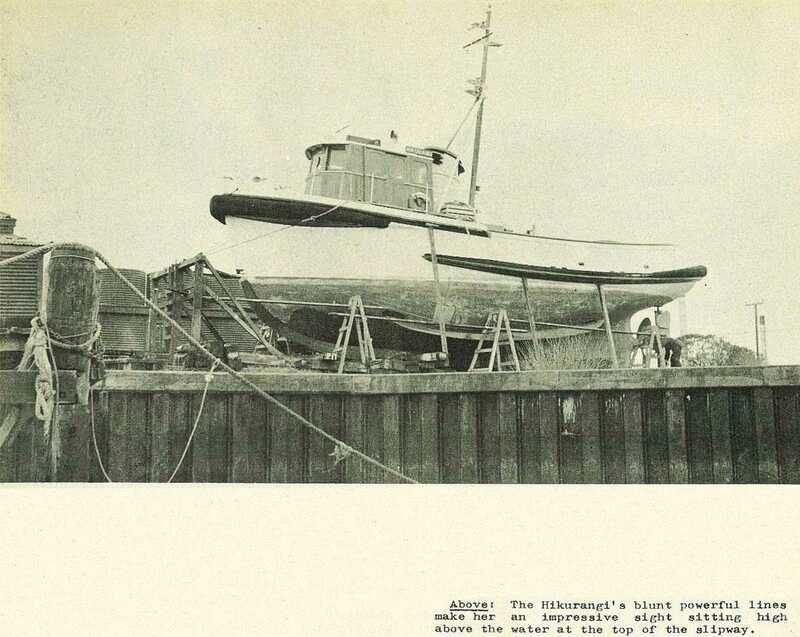 George Harris, dwarfed by the tug's mighty bow, painting the side. 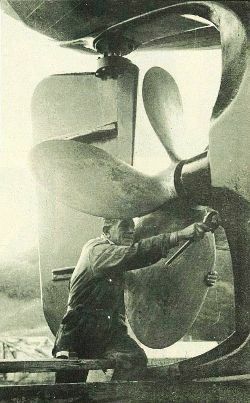 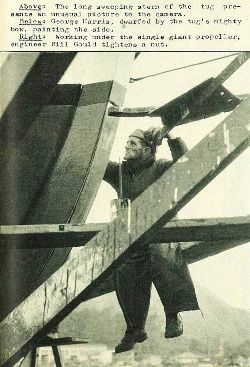 Working under the single giant propeller, engineer Bill Gould tightens a nut.